Interviewer: We want to talk about music, fashion, design, architecture. You are an unstoppable global artist—do you agree with that? 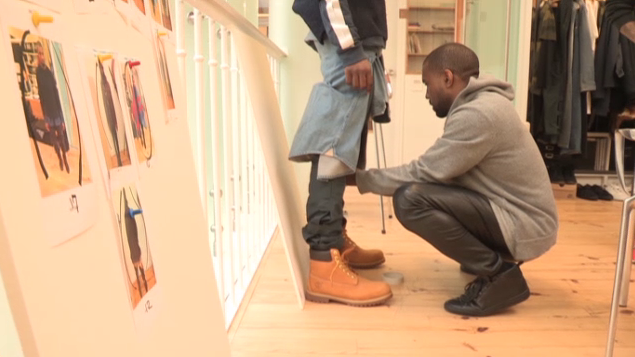 Kanye: Yes… I have no other answer other than yes. Interviewer: Is your love for fashion as strong as your love for music? 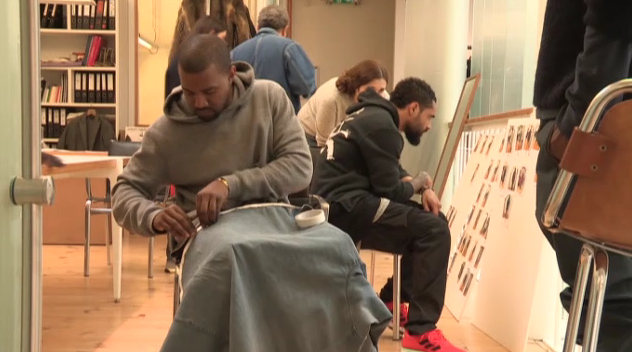 Kanye: I just love creating… music, fashion, architecture, art… I’m addicted to dreams. Clothing or stage design or an album, it’s all art projects, and life is art. Interviewer: We spoke about your first meeting with Jean, did you already know him before that first meeting, did you know his work? Kanye: [Annoyed] Yes, that’s why I asked to meet him! Interviewer: Second time you’ve worked together, first collaboration had eight pieces? Jean Touitou: Yes, it’s much more this time, we are doing much more together. Sometimes I had the difficult task of holding back Kanye’s creativity but we always found a middle-ground. Interviewer: Kanye has the reputation of being a control freak, did you find this? Jean Touitou: No. I didn’t find that. What was difficult was that he was working right up to the very, very last minute. Interviewer: Is it practical to sing in a Margiela mask?! Kanye: Oh, yeah it’s cool! It helped very much ’cause it gave me the opportunity to perform without being a celebrity. 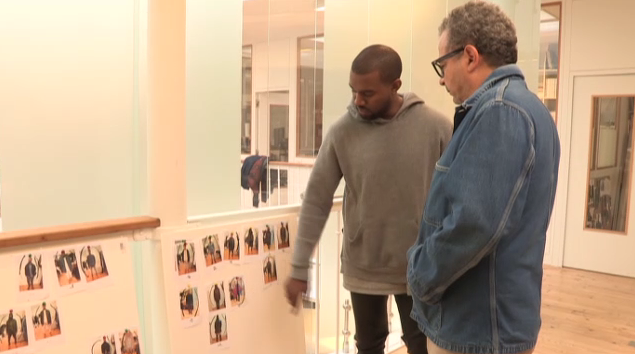 Jean Touitou: It’s true Kanye is a maximalist, but he is also a minimalist, he’s a mix of the two. It’s like fire and water. 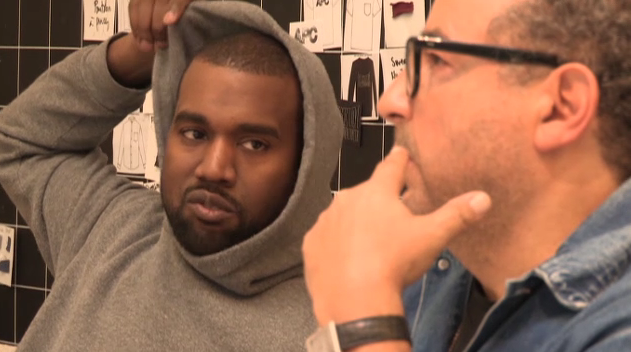 Kanye: You were talking about maximalism and minimalism… I thought that the [Yeezus] album cover is very A.P.C. in that way.